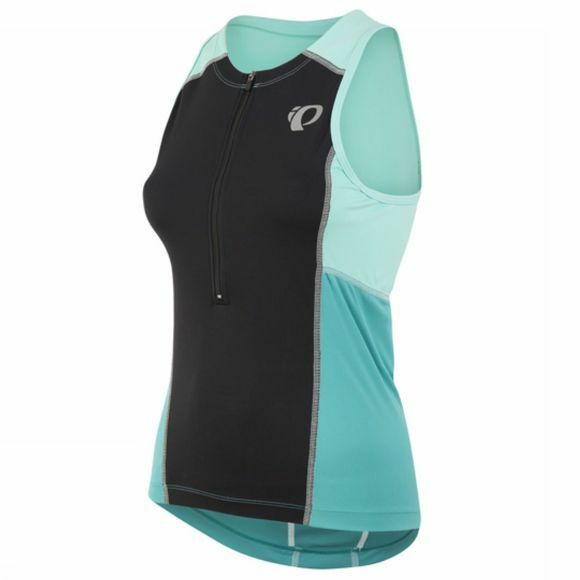 The Women's Select Pursuit Tri Sleeveless Jersey from Pearl Izumi is the perfect top to throw on for the next stage of the race. SELECT Transfer In-R-Cool® fabric powered by Ice-fil® helps to wick sweat away from your body and keeps you cool. Reflective detailing increases your visibility in low light.